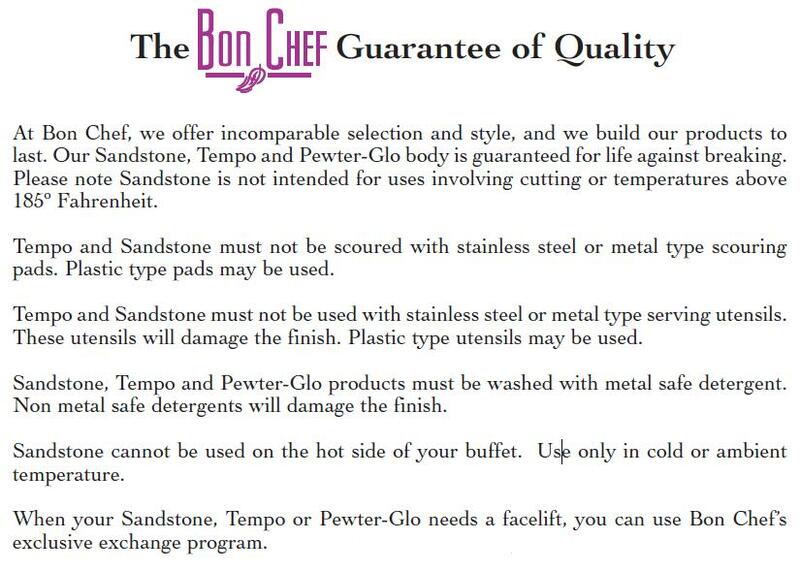 Bon Chef Stainless Steel Induction Bottom Non Stick Omelet Pan, 9 3/4 inch Diameter -- 1 each. All cooking and serving items have induction high energy bottoms. Hot Solutions Mini Chafer Number 5230 has a removable lid for washing. It comes with a food pan and water pan. Can be used with water like a traditional chafer or remove the food pan and put food directly into bottom water pan.